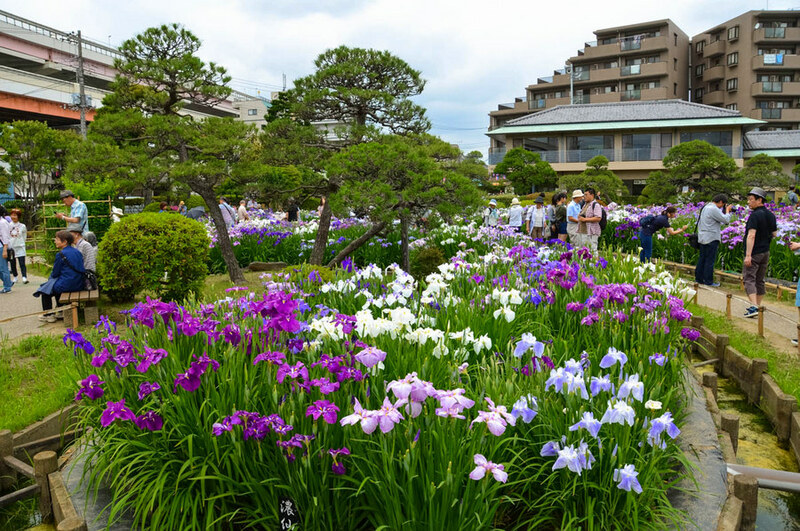 Katsushika Iris Festival (Katsushika Shobu Matsuri) is held in two locations in Katsushika, one of the 23 special wards of Tokyo. 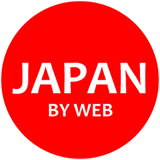 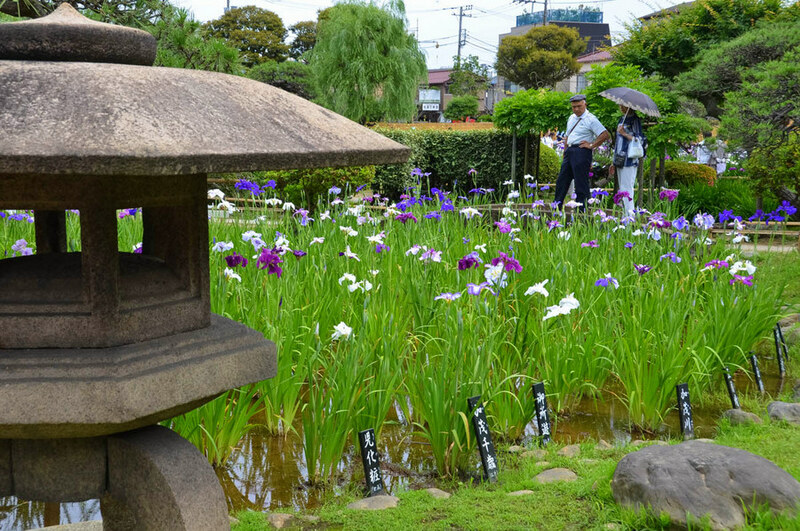 The first location is Horikiri Shobuen, a famous and old garden of Edo. 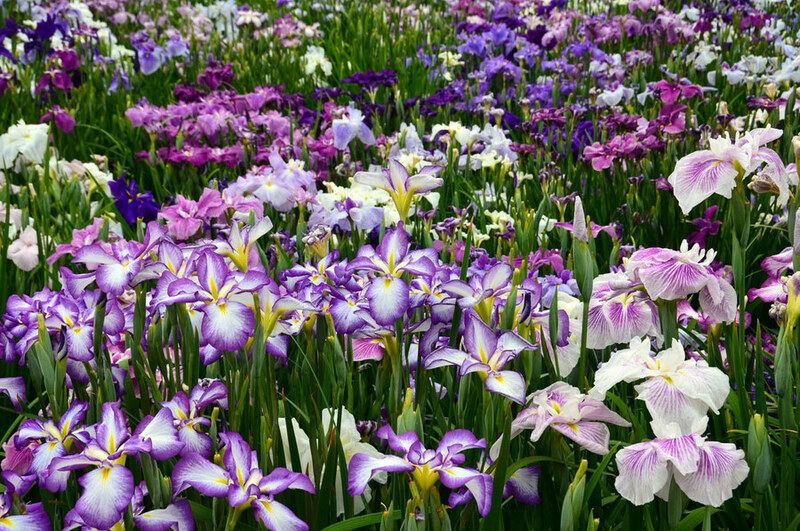 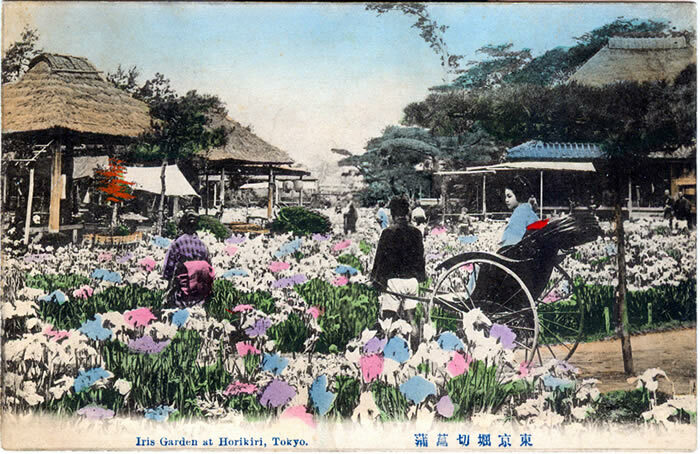 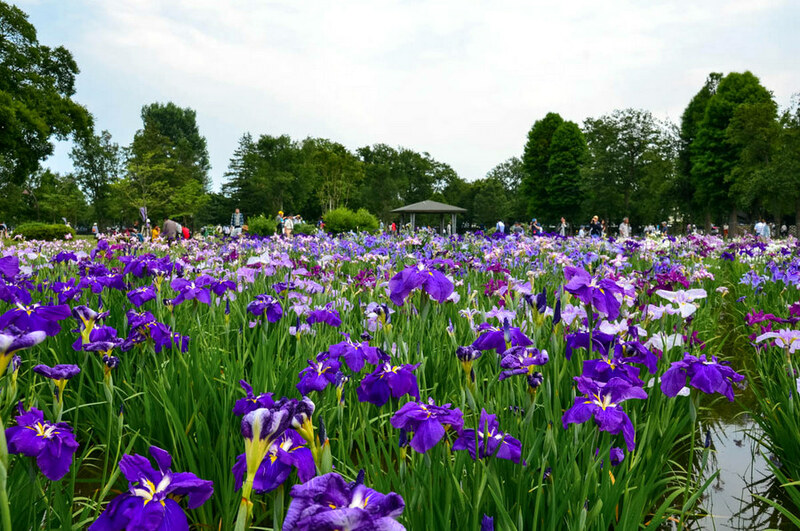 There are 6,000 Iris flowers of 200 varieties in this garden. 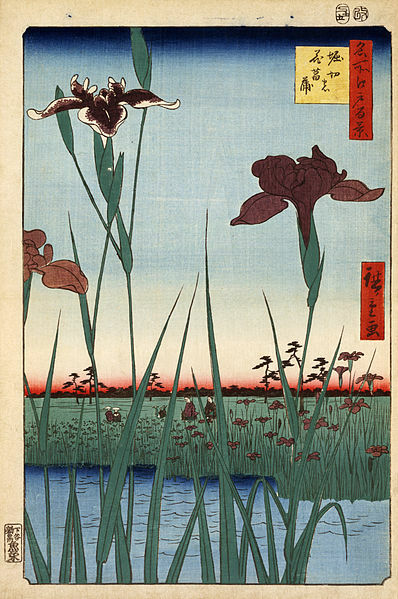 Its beauty during the iris flowers blooming has often been expressed by great artists, such as Hiroshige Ando. 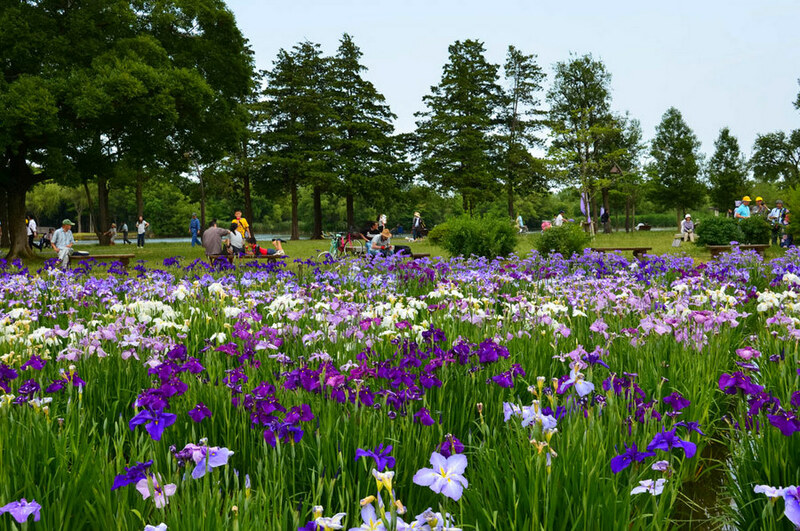 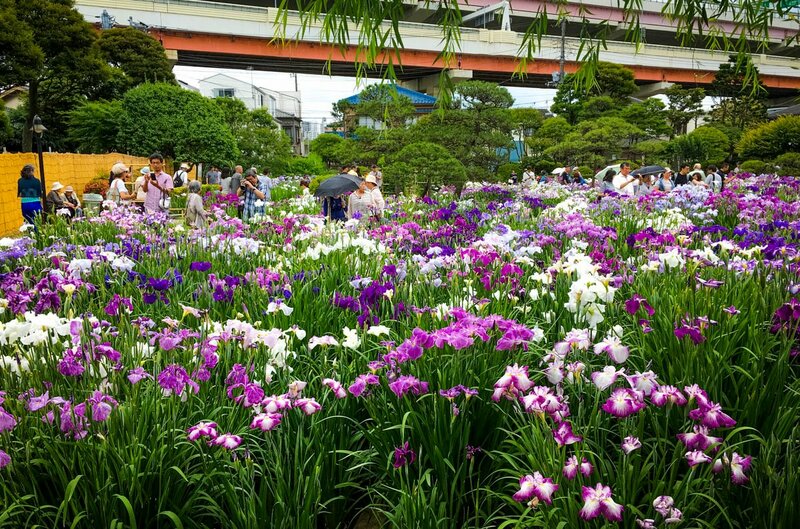 The second location is Mizumoto Park (the last 3 photos in slide show) where 14,000 iris flowers of 100 varieties come to their full bloom at the beginning of June. 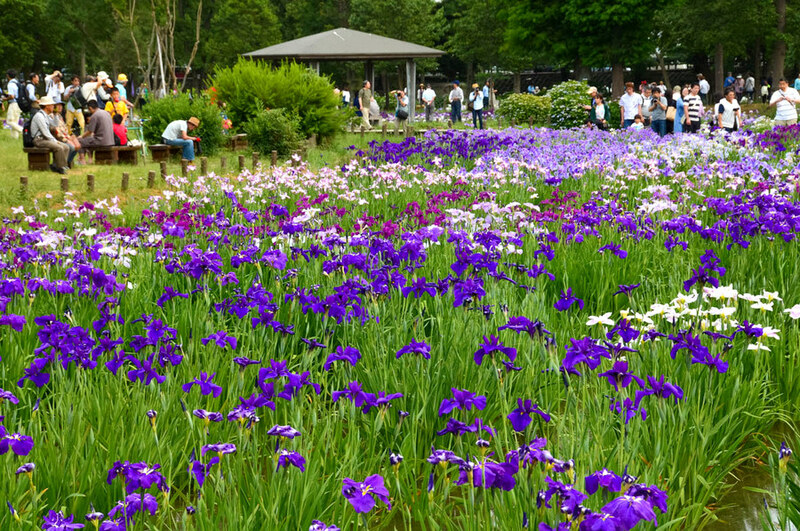 During the Festival many events take place in the area. 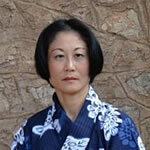 One of them is a parade around the Horikiri Shobuen Station with performance of traditional dance Awa Odori. 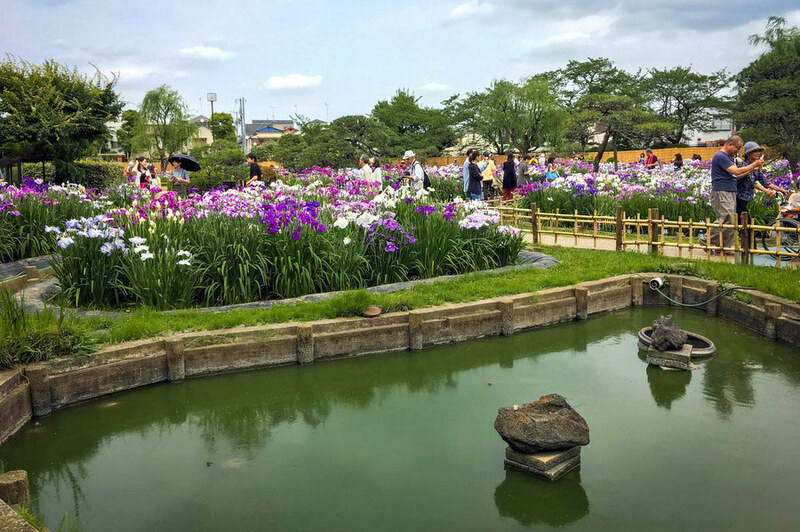 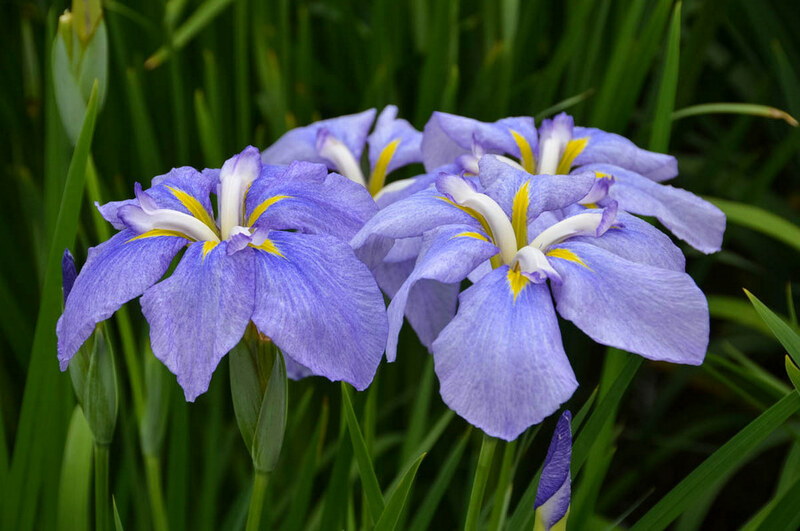 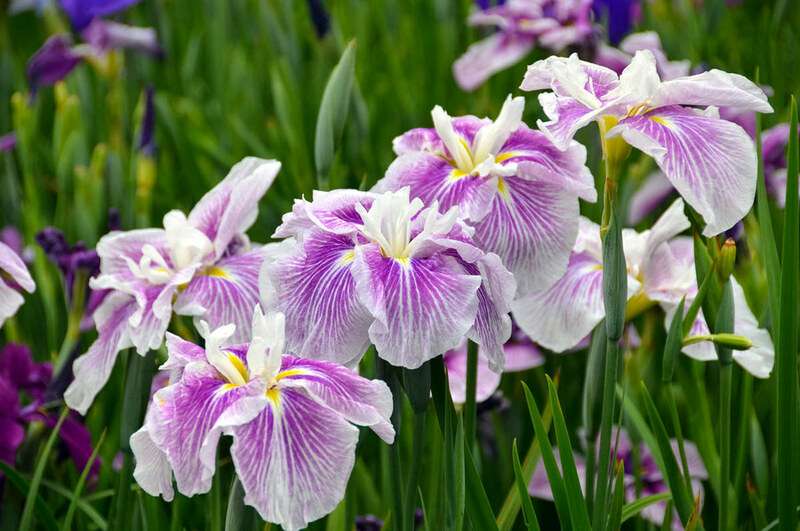 2019 Katsushika Iris Festival: Early-Mid June.